Milan is not just its Gothic cathedral, the Duomo, or the glamorous streets of the quadrilateral of fashion. Milan is a cosmopolitan and smart city that has kept hidden many lovely corners: you can find them scattered all around! 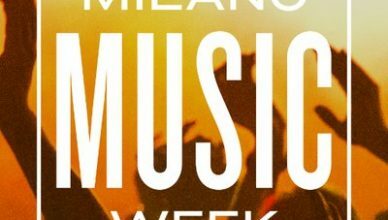 There you can get a brief glimpse of how Milan has renewed itself. 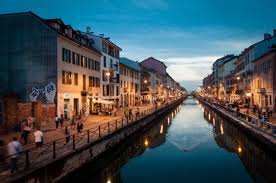 Situated in the south-east part of the historical centre, getting off of the underground at Porta Genova (line M2), Navigli Canals Milan is one of the most romantic and characteristic neighborhoods of Milan. The Navigli Canals Milan are Milan’s ancient canal system, were built by Leonardo da Vinci and their construction lasted 7 centuries (from XII to XIX century). This part of city is almost famous for its suggestive canals and popular nightspots, where milanesi hang out together for an happy hour or go clubbing. Partly designed by the genius Leonardo da Vinci at the end of the fifteenth century, the thick network of sluices, called Navigli, had been an important economical sources for Milan, which boasted the biggest inland harbour in its greatest times. Today this icon of hydraulic engineering is represented by the oldest canal, Naviglio Grande (created in 1179), and by two other sluices: Naviglio Pavese in the south-east next to Naviglio Grande) and Naviglio della Martesana, a relaxing corner near Loreto, with a 38 kilometers long cycling lane that reaches to Cassano d’Adda. Neglected for decades, Navigli were almost completely filled in and taken over by roads, but recently a project of requalification has given back to the city part of its canals and now they are navigable again. Save time to pay a visit at Naviglio Grande, where its dock, or the new Darsena, is now a hotspot for urban life and a touristic attraction in Milan, hosting an antiques market that takes place monthly every last Sunday, from 9.00 to 18.00. Let’s wander along the peaceful waterside and sip a drink in one of the many bars and cafés of the area or let’s treat yourself an enjoyable and relaxing cruises along Naviglio Grande. The Milano Card offers you a reduction of a 10% for Navigli Cruise. Would you like to stay in an apartment close to the Navigli area? We suggest you the Residence Ascanio Sforza! More info here ! SPECIAL EVENT ON WEDNESDAY, JUNE, 24th! If you are in Milan on Wednesday, 24th don’t miss “The Night of the Lanterns in Milan” where tourists and citizens will put thousands of lanterns with messages of hope and peace in the Navigli canals, in the recently restored Darsena. Meeting point at 9 pm in the Darsena (green line of the underground, stop Porta Genova). Enjoy the Navigli canals of Milan with MilanoCard!